Occasional Brief Observations: Truth or? Recent reports have been showing up from various media sources, all with headlines that Iran is paying the Taliban a bounty ($1,000) for each American soldier they kill, as well as various other amounts for other anti-American strikes (e.g. $6,000 for a 'successful' attack on an American military vehicle) - for example, see this New York Daily News article, this MSNBC report, this Fox News article, this Weekly Standard article, etc. The source? Apparently a Sunday Times article, referencing a "Taliban treasurer" who spilled the beans to the Sunday Times reporter in Afghanistan. 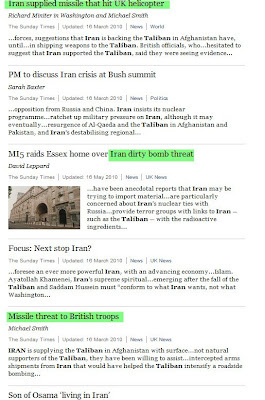 The original Sunday Times article is behind a pay wall, so the various media accounts simply reference each other, without any sort of analysis of the original article, and without providing any additional information (for example the New York Daily News references MSNBC's report of the Sunday Times article; the Weekly Standard article references Fox News; and so on). 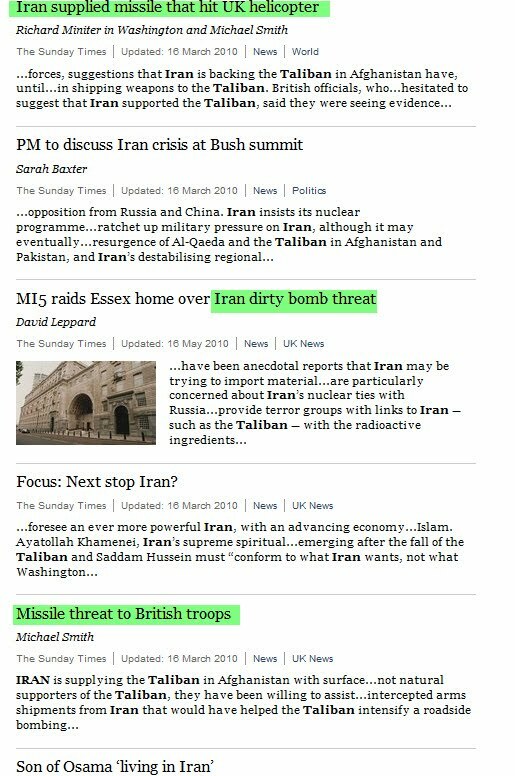 Searching the Sunday Times for the terms 'Taliban' and "Iran" one gets a large number of hits in the same vein e.g. 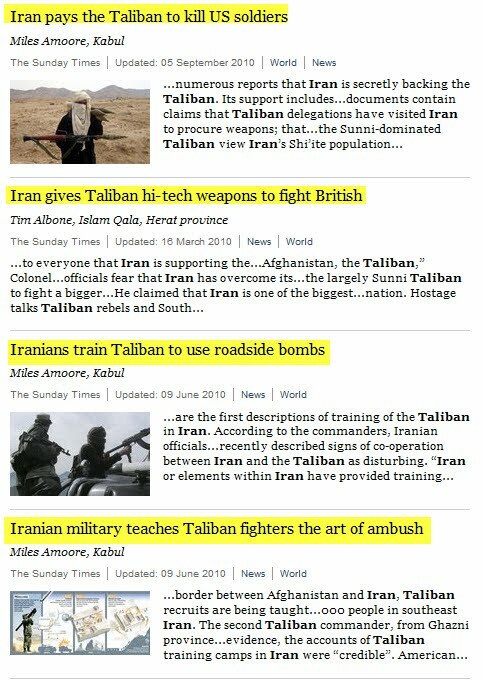 see above headlines re Iran paying the Taliban, providing them arms, training them to lay bombs and set ambushes, etc., etc. So, this allegation is part of an ongoing pattern of unproven allegations; is rather thinly sourced; does not answer many questions (e.g. why would a "Taliban treasurer" share such sensitive information so cavalierly with a news reporter? Wouldn't he, at a minimum, be risking Iranian displeasure which could result in the money being cut off or worse - say death); suggests an unnecessarily complex and convoluted funding mechanism (front companies bidding on reconstruction work, then skimming funds that they route to Tehran and Dubai, then send back to Afghanistan via the hawala system) rather than just funneling cash directly; etc.